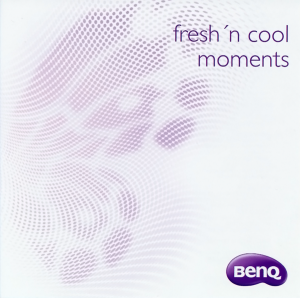 The ZEN-MEN track “Mars_001” is on the new B2B CD “fresh’n cool moments” by BenQ. This entry was posted in Medi-X, ZEN-MEN and tagged English, Medi-X, music, ZEN-MEN on September 4, 2011 by Chris. You asked: here it is! Full 15 minutes length, up to 1080p Full HD. Enjoy! This entry was posted in Medi-X, ZEN-MEN and tagged English, Medi-X, music, Power-Nap, video, ZEN-MEN on January 30, 2011 by Chris. Medi-X by ZEN-MEN got a review in the magazine KGS Berlin. Thank you! The double-CD “Medi-X” is a mixture of different, electronic sounds and rhythmic songs with catchy melodies. All 24 tracks have a precise length of 5 minutes each and can be used as a clock replacement or as a assistence in a therapeutic environment. From each sold CD a donation of 1 Euro goes to the German SOS Children’s Villages. Medi-X von ZEN-MEN erhielt eine Besprechung im KGS Berlin Magazin. Danke! Die Doppel-CD “Medi-X” ist eine Mischung unterschiedlicher, elektronischer Klänge und rhythmische Stücke mit eingängigen Melodien. Alle 24 Titel habe eine exakte Länge von jeweils 5 Minuten und können als Uhr-Ersatz oder zur Unterstützung in einem therapeutischen Umfeld verwendet werden. Von jeder verkauften CD geht eine Spende von 1 Euro an die SOS Kinderdörfer. 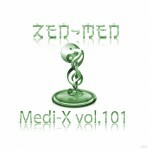 This entry was posted in Medi-X, ZEN-MEN and tagged English, Medi-X, music, review, ZEN-MEN on April 9, 2010 by Chris. Medi-X by ZEN-MEN got a fine review in the magazine Das Wesentliche. Thank you! All 24 tracks contain frequencies of the Earth’s magnetic field. Harmonies, tempos and more are according to the movements of the planets in the solar system. The album was designed to achieve a very natural, harmonizing effect on people. The movements of the planets and other important waves from the natural environment of the Earth are carefully incorporated into the music. Quiet relaxation and healing unfold inside your body and soul. The effect of “Medi-X” is extremely varied: the spherical, instrumental sounds produce fine vibrations wich travel as waves through the body and can reach down to the cellular level. Physical and psychological tensions are eased. “Medi-X” helps to relax and stimulates the brain to the release of endogenous neurotransmitters and reaching the “alpha state” of the brain becomes possible, a state of relaxed alertness. Meditative chillout music at its finest. From each sold CD the German SOS Children’s Villages receive a 1 Euro donation. This entry was posted in Medi-X, ZEN-MEN and tagged Deutsch, English, Medi-X, music, review, ZEN-MEN on April 9, 2010 by Chris. Medi-X by ZEN-MEN got a fine review in the German magazine Zeitenwende. Thank you! What the ZEN-MEN present here, is an interessting mixture of different electronic sounds. Here and there it seems like Kraftwerk has a finger in the pie, some reminds of Craig Armstrong, and when the singing bowl gets hit, you can even see it floating through outer space. Rhytmical pieces with very catchy melodies can also be heard. Overall, very beautiful and meditative chillout music. This entry was posted in Medi-X, ZEN-MEN and tagged Deutsch, English, Medi-X, music, ZEN-MEN on March 5, 2010 by Chris. “experience an abstract voyage into your inner self, steered by your own dreams and fantasies. accompanied by sounds ranging from classical to ambient and electronic music, you travel through millions of light years in just a few seconds, and can set your eyes on parts of the cosmos you have never seen before. 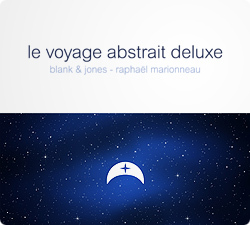 for the 5th session of “le voyage abstrait deluxe”, raphaël marionneau meets blank & jones at planetarium hamburg on 10th December 2009. – 11th December: the EP is on #1 in the iTunes electronic album sale charts. Congrats! This entry was posted in Medi-X, ZEN-MEN and tagged abstrait, Deutsch, English, Medi-X, music, ZEN-MEN on December 11, 2009 by Chris. Both Medi-X volumes 001+101 are now available at iTunes. Beide Medi-X Volumen 001+101 sind nun bei iTunes erhältlich. This entry was posted in Medi-X, ZEN-MEN and tagged Deutsch, Medi-X, music, ZEN-MEN on November 19, 2009 by Chris. A new Power-Nap is online with japanese male vocals by Takashi Watanabe. This entry was posted in Medi-X, ZEN-MEN and tagged Deutsch, English, Medi-X, music, Power-Nap, ZEN-MEN on November 12, 2009 by Chris. A new Power-Nap is online with english female vocals by Elizabeth Spieler. This entry was posted in Medi-X, ZEN-MEN and tagged Deutsch, English, Medi-X, music, Power-Nap, video, ZEN-MEN on October 2, 2009 by Chris. ZEN-MEN Medi-X Power-Naps videos are chillaxing 15 minutes for eyes and ears. The audio journey includes a special brain tones sequence morphed into the chillout music to maximize possible relaxation and recreation. Tibetan bowls will wake you up again in ZEN style. A very colorful video sequence helps to calm down at start, relax and wake up near to the end of voyage in case you cant sleep or listen to the music currently. The buyable versions are in higher quality and come without the watermark in the upper left corner. Its planned to release buyable versions in different languages via iTunes 2009/2010. This entry was posted in Medi-X, ZEN-MEN and tagged Deutsch, English, Medi-X, music, Power-Nap, video, ZEN-MEN on September 17, 2009 by Chris.